The most famous road bicycle race in the world, the Tour de France, zigzags through the French landscape. There are some 40,000châteaux (castles, manors, palaces) scattered throughout the country of France. One day, two young women came to visit Kylian’s mother. They sat outside talking and enjoying the warm autumn day. Kylian noticed that the two young women were smoking. He watched them for a few minutes, then he told them, “You shouldn’t smoke; it can give you cancer.” The young women were surprised at Kylian’s comment, but they didn’t look angry. Kylian remembered a book he had that talks about taking care of our body. He ran to his room, found the book, and showed it to his mother’s friends. The two young women looked at the book while Kylian rode away on his bicycle. The next day his mother’s friends came to visit again. Kylian invited them to come to church with his family. He didn’t know what they would say, but they smiled and agreed to go to church with Kylian’s family. Now it was Kylian’s turn to smile! Mother’s friends liked the worship service and asked to attend again. The young women have come to church almost every Sabbath since then. They want to be baptized and join God’s family. 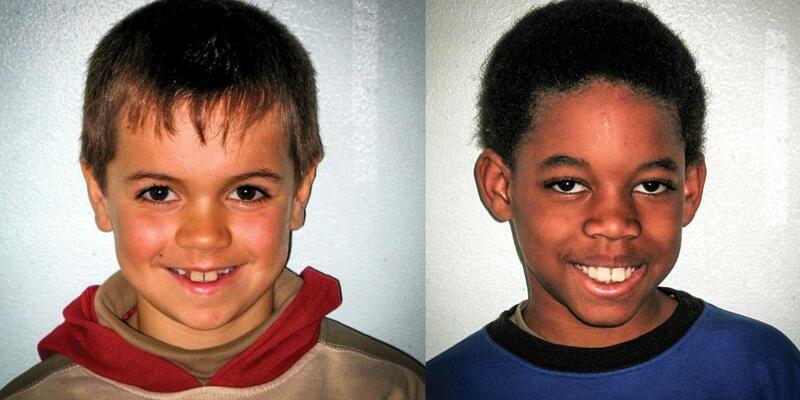 Virgil is in the same class as Kylian at the Adventist school. He likes science and thinks he would like to become a scientist. Virgil has also shared God’s love with someone, his special friend Jean Luc [John Luke], who lives in a town about an hour away from where Virgil lives. The boys met when they were playing at a park one day. They started playing together and soon became good friends. Virgil asked his parents to take him to Jean Luc’s house to play. Soon his parents and Jean Luc’s parents became good friends as well. Then Virgil’s family moved to Collonges. Virgil missed his friend and often asked his parents to take him to see Jean Luc. One Friday Jean Luc came to stay overnight with Virgil. On Sabbath morning the family got dressed and went to church. Jean Luc knew that his friend was a Seventh-day Adventist, but he had never been to church with him. Jean Luc liked Sabbath School a lot, especially the stories about Bible heroes. When it was time to go home, Jean Luc asked Virgil’s parents to let him stay overnight again so he could go to church with them. Jean Luc told his parents about Virgil’s church. Although Jean Luc’s family didn’t go to church, they were willing to let Jean Luc go to church with Virgil. One day, Jean Luc called and asked Virgil’s mother to let him come and visit on Sabbath again. The boys went to Sabbath School and church together, then they enjoyed a nice afternoon walk. Now Jean Luc asks his parents to take him to church every Sabbath. His parents decided to visit the Adventist church in their town. Now the whole family goes to church every Sabbath. Virgil no longer gets to take Jean Luc to church, but he is happy to know that his friend is going with his own family.